The Los Angeles Lakers are looking for a win on Friday night and the news and rumors are ramping up. Check out the latest buzz below. Kobe Bryant’s volume of shots this year has earned a number of critics, but others say he should keep doing what he’s doing–including TNT’s Craig Sager. The sideline reporter, who is recovering from leukemia, said in a new article that Kobe should keep shooting. “Outside of the sports world the tales of overcoming failure and achieving greatness are abundant. Entrepreneur Ted Turner was told CNN was not an accredited organization and never would be; retailer F.W. Woolworth was let go at the dry goods store for having no sense of customers; manufacturer Henry Ford went broke five times; and visionary Walt Disney was fired from a newspaper for lack of ideas,” Sager said. Bryant has averaged about 24 shots per game, but is on pace for his worst career shooting percentage if it stays at 37.9 percent. Bryant is averaging 26.4 points along with 5.1 rebounds and 4.1 assists in 35.7 minutes. Kobe went for a different role in the first half of the recent loss to the Memphis Grizzlies, passing a lot more and helping the Lakers to a four-point lead at halftime. 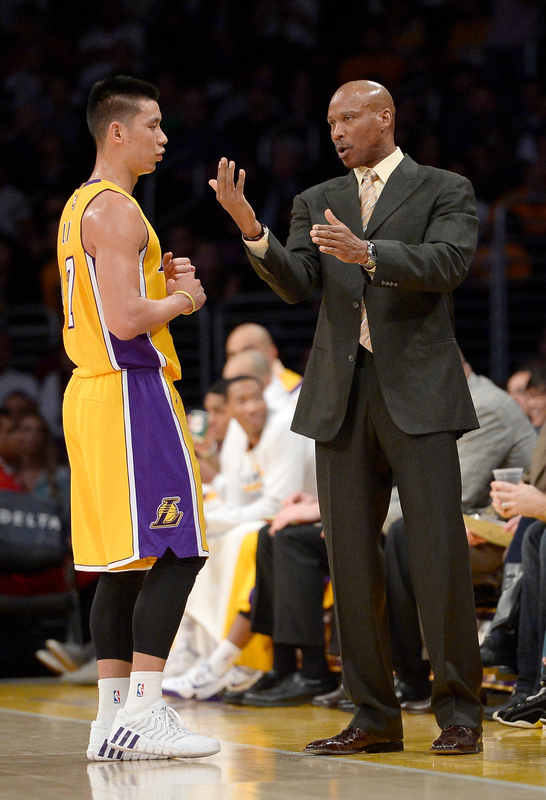 However, the Lakers ultimately fell 99-93. 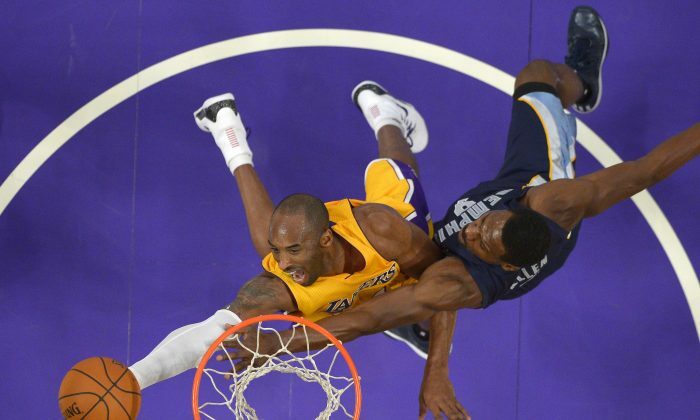 “Kobe Bryant distributing and being a facilitator for them early, that helped them,” Grizzlies point guard Mike Conley told Lakers Nation reporter Serena Winters. Jeremy Lin took some time to post a message to fans on his website, wishing them a Happy Thanksgiving. “Even though we don’t have a great record right now, our team has been playing better of late. Something clicked when we got back to back road wins against two playoff teams and we’re starting to see what we’re capable of. It’s all a process and a journey but I believe our team has more room for improvement than the average team because we have a new coach and many new players,” he said. Lin also said that he’s been getting settled into Los Angeles comfortably, spending a lot of time with family and friends on non-game days, playing board games and relaxing. “Family and friends have been trickling in town especially as the games are really getting underway so I’ve spent some time housing people I’m really close to. It’s always refreshing to see them because it prevents me from thinking about basketball 24/7,” he said. Lin said he’s been cooking a lot lately, and revealed he recently made a buffalo burger. “Hope everyone has a great Thanksgiving! Cant wait to eat some delicious food with my family! !” he concluded.